deliciously organized: ~rehearsal luncheon invites! Today we are officially ONE MONTH out until our wedding day! We are in serious go mode over here. Since I shared our wedding invites with you all, I thought I'd show you our rehearsal luncheon invites as well, done by the fabulous Minted. I really wanted them to have a bit of a coastal feel, but still tie into our original invites. I incorporated the same heart from our invite address labels (which I had some left over to send these out) to this invite & used the same fonts (you can hardly tell because I whited everything out) + our navy and white stripes + coral colors. better get back to work...we are getting so close! ahh! stinkin cute, carlee. so thrilled for you. what a fun time this is! 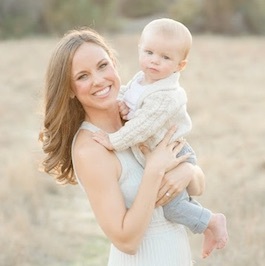 Those are adorable - I am even more excited now to have won your minted.com giveaway! Thank you so much!! They are adorable! Enjoy this last month! Oh my gosh sooo cute! 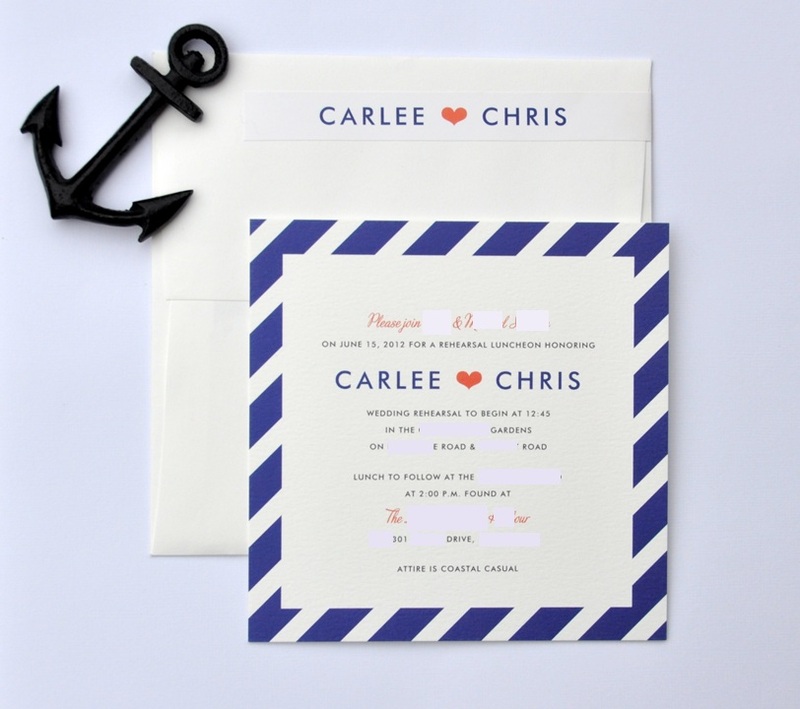 I always thought I might do something nautical for my wedding too... love these! !